If you don’t already play or sing in one, why not? They’re great fun! There are ensembles for most instruments and standards. 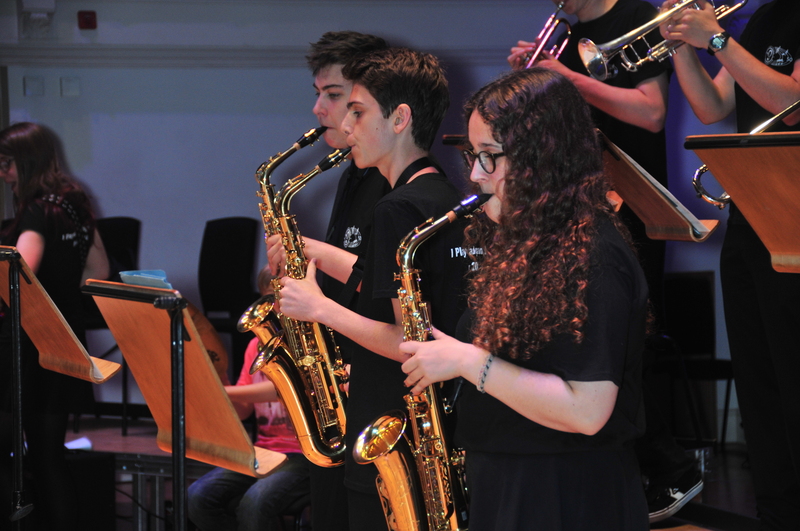 Ensembles tackle a variety of repertoire, from classical to film music and show tunes. Playing in an ensemble is also a great way of improving your sight-reading. 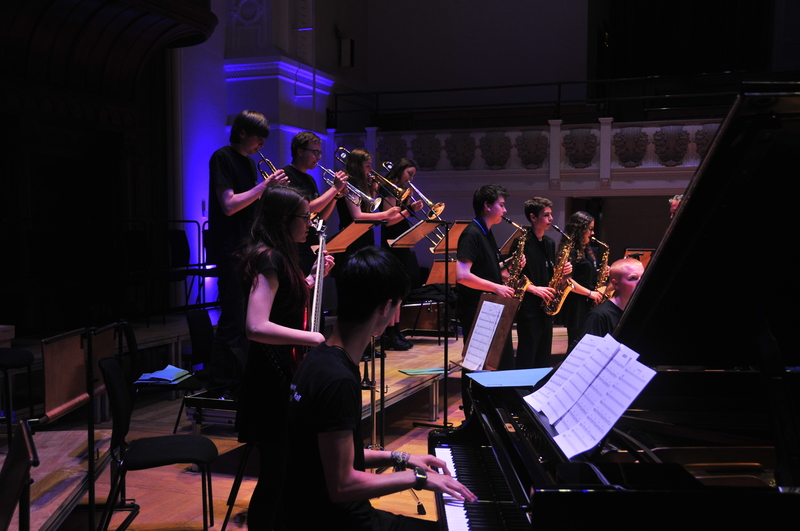 They only cost £25 per term and you are welcome to try out ensembles for a week or two before making a commitment. Orchestra is a free class. The jazz ensemble is for pupils of grade 4 and above. They play some standards, learn to improvise, and create their own compositions! They played at the Ealing Jazz Festival in July 2018. For flute players of grade 4 – grade 8. Minimum age 8. They sing a variety of repertoire from traditional songs to songs from shows. Basic singing technique is also covered. Pupils in Year 2 by audition/trial. For pupils of grade 3 and above. 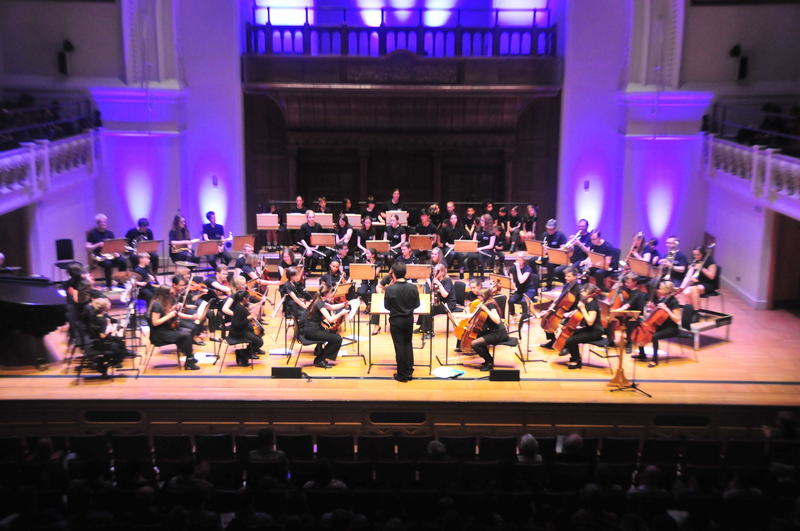 The orchestra plays a variety of music from classical to film music. New members are always welcome. Parents can join in too! The ensemble plays music from Latin America using drums and handheld percussion. Previous drumming experience is not necessary, so it’s a great opportunity for everyone to play some percussion! All instruments provided. Most pupils will start in the junior ensemble and be promoted at the teacher’s discretion. This new ensemble will be learning the basic techniques that are the foundation of music from Latin America using drums and handheld percussion. Previous drumming experience is not necessary, so it’s a great opportunity for everyone to play some percussion! No experience necessary, just enthusiasm! All instruments provided. For pupils in years 7-13. They sing a variety of repertoire from traditional songs to songs from shows, usually in 2 or 3 parts. More advanced singing technique and sight-singing is also covered.